No one brings you warm dinners or premade casserole dishes. Nobody offers to go with you to planning meetings or conciliation hearings. Very few stop by with cards, flowers, or well wishes after the death of your marriage, but I believe the pain is just the same. We’re left alone with our thoughts and to sort through the destruction left behind from the unwanted divorce. Add to that the blame and the shame that we hear from others, or their complete silence, and we may just start believing these lies as the truth about our divorced circumstances and ourselves too. As we wade through the pain and the legal process, we need to know the difference between truth and lies. When we see the lies for what they are, we’re better able to understand what is the truth about our situation. 1. That everything is your fault. During my marriage, I knew our home wasn’t a healthy environment for our children to live in. I could see the pain my years of staying, and always taking the blame, caused them. They were learning that abuse and adultery was normal behavior. After my divorce, I still felt that I was to blame. I was being accused of making up infidelity accusations and for forsaking, when the truth was clear to everyone but me. I didn’t want my divorce but I also stopped fighting for it. I started looking forward to a better future. I had to learn that healthy people talk about marital issues, not run out and find a new partner at the first sign of conflict. And any imperfections I may have as a human being, never warranted any infidelity or abuse. I could stop taking the blame upon myself because I clearly wasn’t entirely to blame. I can relate to this lie too. We assume that because the person, who vowed to love us for life, couldn’t keep that promise, that there must be something wrong with us. We must be unlovable or unworthy of love if he found us so easy to replace. That’s just not true. One person’s inability to see you as a gift from God, doesn’t determine your worth. God is love. In order to know love, one must know God. As you grow closer to God, understand His love for His children, and see yourself through His eyes, you’ll see that you are loved and worthy of love. Don’t allow the lies of the enemy to separate you from knowing God’s love or the love of others. You’re just as worthy as anyone else. 3. That divorce is unforgiveable sin. It’s disturbing how when you mention divorce, all these rules and relatable Bible verses come out, directed at divorced people. We usually say theses things to the ones who didn’t want the divorce in the first place, but were faced with no other options. They’re basically saying, “The Bible says,” you were abused and mistreated in your marriage, but that was your cross to bear – the “worst” you signed up for. And now that you’re out and safe, you must spend the rest of your life alone, penalized for your husband’s choices. Do you really think Jesus would say that to a woman? My own inquiry (using Biblical hermeneutics) has taught me to see God’s Word differently. That’s why contextual study is vital to understanding, not allowing biases, or outside debates to color our interpretation of the Scriptures. 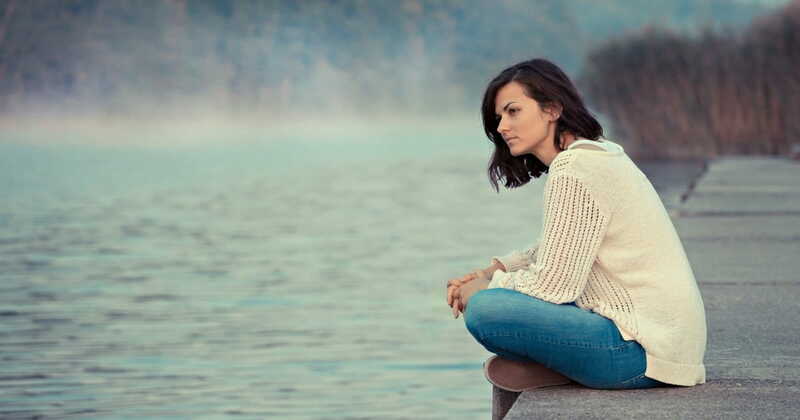 After divorce is the perfect time to focus on connecting with God, digging deep into His Word, understanding the Scriptures, and learning what He would like you to know about His story, and divorce. 4. That I carry “D”ivorce shame. We do feel shame when we hear those blanket statements about divorce stated or implied, especially at church or from close family and friends. We often feel like we carry a huge “D” around for all to judge and see. But Jesus came to set us all free – even divorced women. He paid the price to release us from guilt and shame. He took it on the cross. Everyone is in need of redemption through the blood of Jesus. Everyone! This clears us from guilt, even if we had to make the hard choice to initiate a divorce. Any shame that you feel, or that others try to put on you, is from the devil. His lies try to hold you back from walking redeemed and living out your purpose for the Kingdom. Keep picking up your spiritual armor and fighting back with truth. 5. That life is over after divorce. The world wants you to believe that it is. That you should just stay home, in seclusion, and pretend nothing has changed. Most people just don’t want to be submerged in your pain and destruction, something they’re unaware how to deal with. Unless someone has been through it, they just cannot understand what you’re experiencing. Find people who have been there and do understand. Lastly, don’t see your divorce as a jail sentence, but a new chapter in life. Through deep emotional introspection and whole-heart healing, you can learn the truth for yourself too. That’s why I suggest, to grow closer to God, journal through your divorce healing, find a good therapist or mentor, and engage in healthy relationships so you can move onto a healthier, thriving life after divorce, free from blame and shame. May God bless your healing journey!